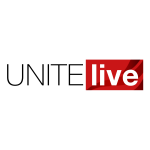 A much anticipated review into the gig economy has “spectacularly failed” to deliver protections for those in insecure work, Unite said today (July 11). The union said the review, by former Tony Blair adviser Matthew Taylor, did not offer any protections for workers and would only be welcomed by “rogue employers and those who have grown rich on the hard labour of those desperate for employment”. The report calls for a new category of work for those employed in the gig economy called “dependent contractors”. The changes would “distinguish workers from those who are legitimately self-employed” and provide some additional rights. However, rather than recommending definitive changes to protect workers in precarious roles from exploitation, Taylor set out seven “principles” that were described as “feeble” by Stephen Cavalier, chief executive of Thompsons Solicitors. Prime Minister Theresa May endorsed the report and insisted “overbearing regulation” to prevent the exploitation of those in insecure work would not benefit the economy. Unite general secretary Len McCluskey said the report had raised the prospect of tackling “the scourge” of insecure work, but “failed spectacularly to deliver”. “The seven pillars of Taylor are very wobbly and tumble to rubble under first scrutiny. The report does nothing to address the rampaging growth in forced self-employment, which has shot up as the government’s austerity programme bites,” McCluskey said. McCluskey said Unite does not accept Taylor’s findings which, as well as giving “a depressing sense that insecurity is the inevitable new norm”, fail to mention the role of trade unions. “This omission by Mr Taylor sadly echoes the Tory view that unions are the enemy within and not, more accurately, that we are the single most important force for good for working people in this country,” he said.